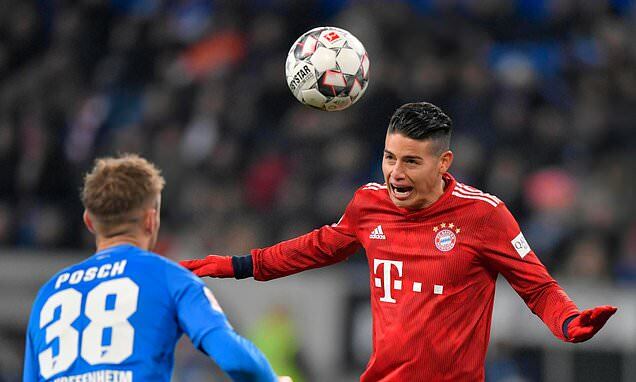 Liverpool loanee Marko Grujic has had his say on the never-ending Cristiano Ronaldo-Lionel Messi debate, after he was seen replicating the Juventus star’s signature celebration in Hertha Berlin’s game against Schalke last Friday. Despite the fact that Messi and Ronaldo now play in two different leagues, the comparison between the duo remains. 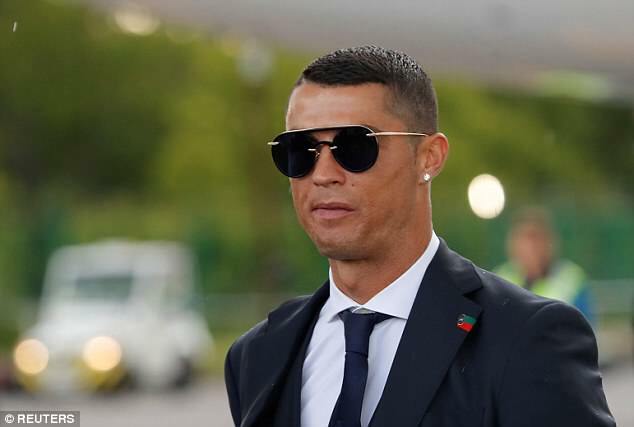 The Barcelona ace and the Juventus star remain at the top of their game, even a decade after their rivalry began, winning several trophies for their teams and individual accolades for their performances. 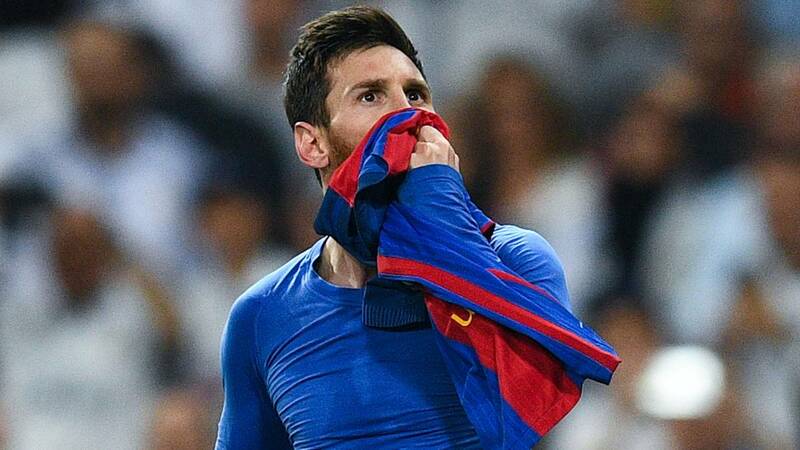 While Ronaldo has netted 15 Serie A goals so far this season, Messi has scored 19 in La Liga. Grujic, who is currently on loan at Hertha Berlin, was asked to wade into the debate after he was seen celebrating in the same way that Ronaldo does, after scoring the equaliser during a game against Schalke on Friday. When Grujic was asked whether he was trying to replicate the five-time Ballon d’Or winner, the 22-year-old insisted that the celebration was not planned at all. 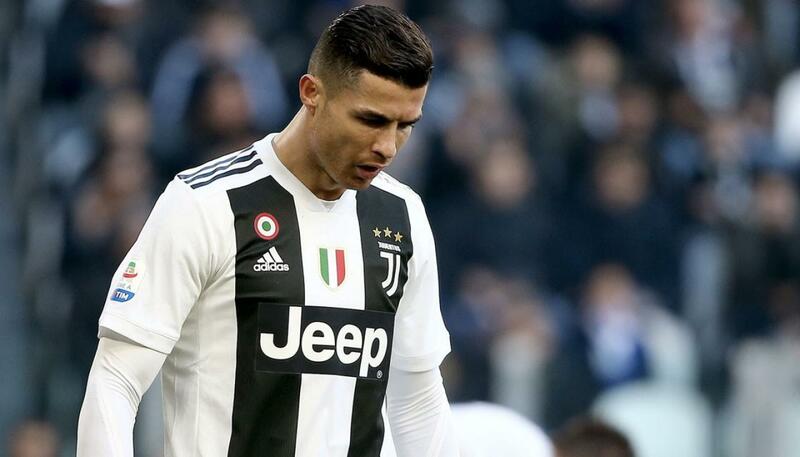 The Serbia international added that while he thinks Messi is the better player, Ronaldo is still a massive inspiration for him. 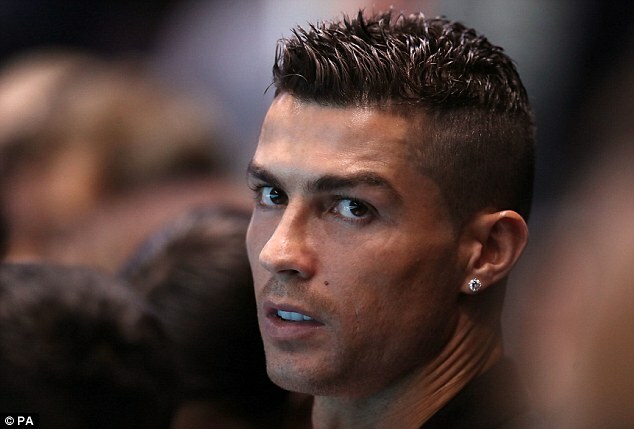 “I look up to Ronaldo. He is a great role model for me. Because he works obsessively on his development. I love to live football as professionally as possible and to subordinate everything to it. Messi may be the more talented player, but Ronaldo has worked it all out,” said Grujic. Grujic has had a difficult spell at Hertha Berlin after his injury problems saw him play only nine league games so far. Hertha will next face Wolfsburg in the Bundesliga on Saturday, February 2. Barcelona captain Lionel Messi has opened up about the legacy that he would like to leave at the Catalan club, and how he wishes to be remembered when he finally hangs up his boots. The Argentine maestro has come a long way since his younger days in La Masia, achieving unprecedented success both for the club and himself in his long career. The 31-year-old is now a hero in the eyes of the Catalonia faithful, establishing himself as one of the best, if not the best, players to ever don the Barcelona shirt. Messi boasts of being the club’s all-time top scorer and continues to add to his ever-growing tally of goals in almost every game. 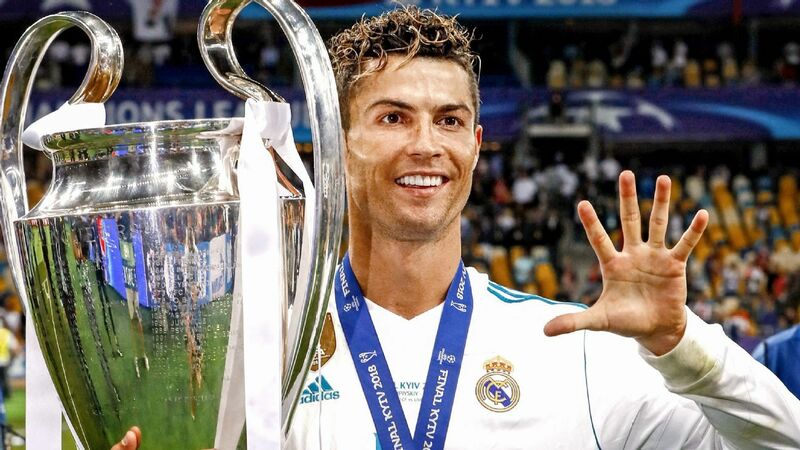 Apart from LaLiga and Champions League titles, the Barca captain also boasts of an incredible five Ballon d’Or awards, a record shared with Juventus star Cristiano Ronaldo. In an exclusive interview with Unisport, Messi has opened up about the legacy he wishes to leave, stating that it does not matter as everyone will stick to a certain opinion of him in the end. Messi has helped Barcelona to the top of the Spanish league table, where they sit four points clear of second-placed Atletico Madrid, with 49 points. The table-toppers are scheduled to face Sevilla in the crucial second leg of the Copa del Rey quarter finals later tonight. 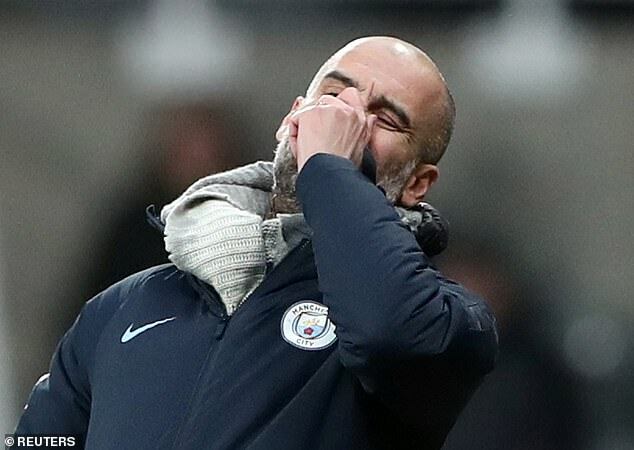 Manchester City manager, Pep Guardiola is refusing to give up on the Premier League title despite the prospect of falling seven points behind Liverpool. Of the performance, he said: ‘It wasn’t our best. We got that goal but during the whole game we didn’t have the rhythm we need to impose our game. 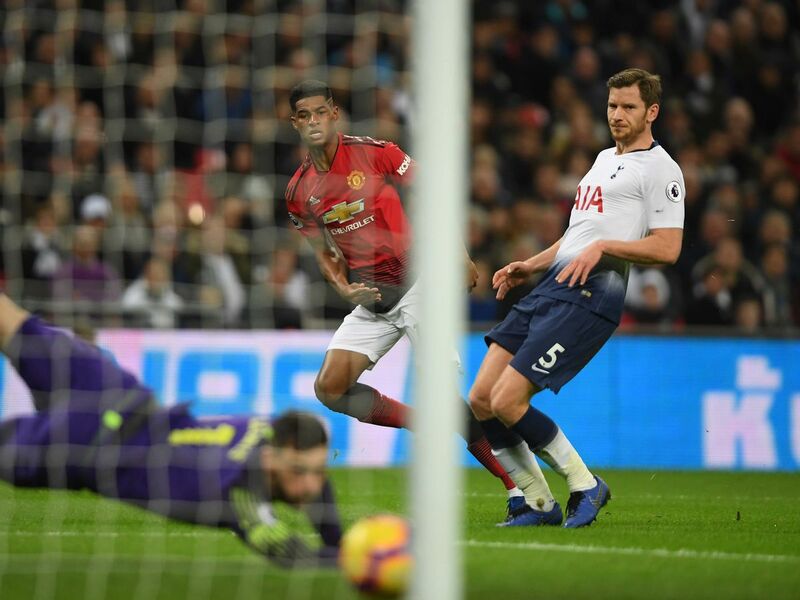 The early goal did not help us. ‘And when you don’t take the chances then the game stays open, so congratulations Newcastle.’ The Magpies are set to break their transfer record with the £20.5million signing of Miguel Almiron and will add defender Antonio Barreca on loan from Monaco. They are also in talks with Benfica midfielder Andreas Samaris. That news coupled with a victory which takes them to 14th lightened Benitez’s mood on a day which began with him refusing to commit to the club beyond the transfer window. 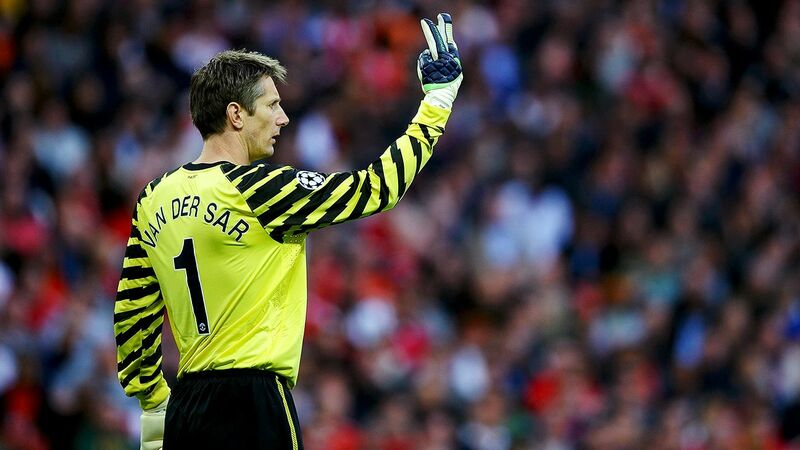 ‘I did not know where we were (with transfers), but they told me before the game we are progressing. 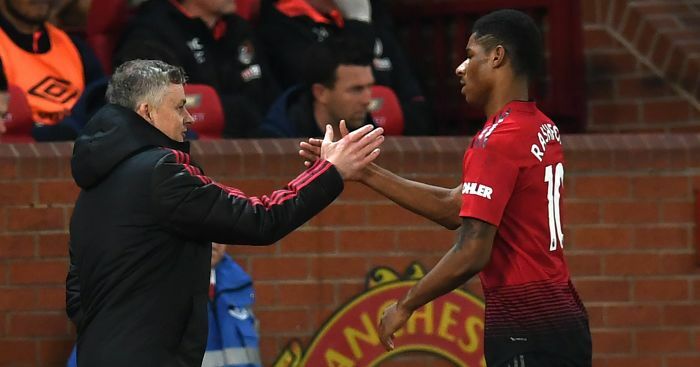 It could be good news for us, but the main thing is we sign what we need, not the price. I have confidence that we will do the right things to stay up. You have to stay calm. 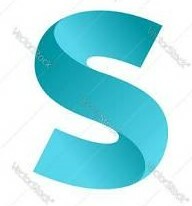 If people around trust you, then you have more chances to win,’ said the Spaniard. 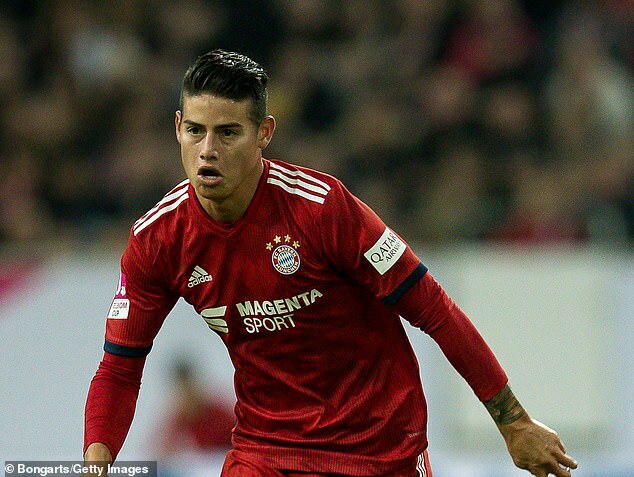 Arsenal is set to make a deadline shock move for Real Madrid star Alvaro Odrizola this week, after missing out on Barcelona star Denis Suarez earlier. 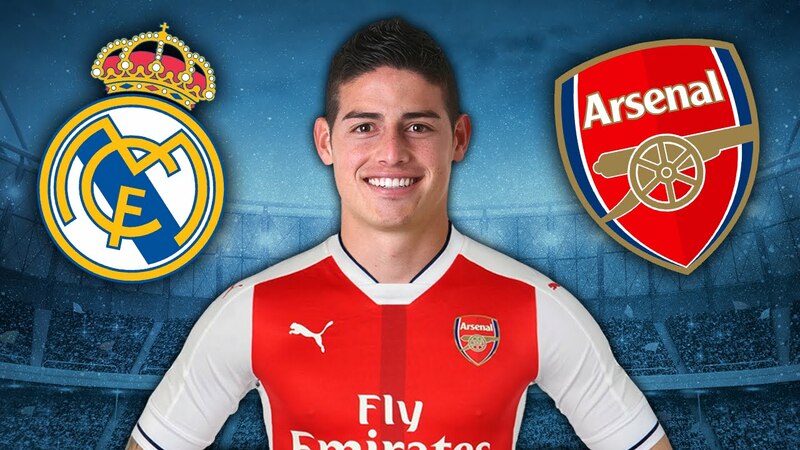 The Gunners are said to have submitted a mega bid to Los Blancos for them to sign the player – Arsenal wants the 23-year-old Spaniard to replace Hector Bellerin who sustained injury lately. The Gunners are currently facing serious challenges in their defense this season following injuries picked by Hector Bellerin and Rob Holding. And recently, the Premier League side also announced that Sokratis Papastathopoulos will be out of action for at least 1 month. Arsenal is now in the market looking for a good defender that will replace Hector Bellerin at the Emirates stadium. 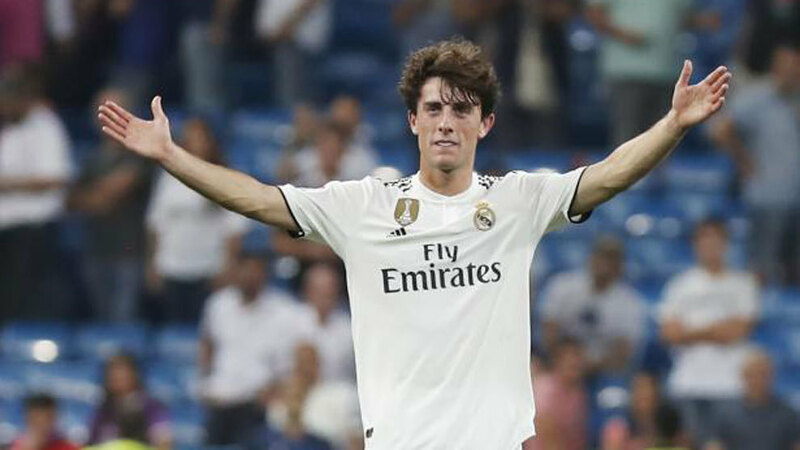 And according to the report by El Gol Digital, Unai Emery’s side has submitted an offer to Real Madrid for the possibility of signing Alvaro Odriozola this month. Arsenal is reported willing to sign the 23-year-old as soon as possible and will match his pay packet at the Bernabeu. 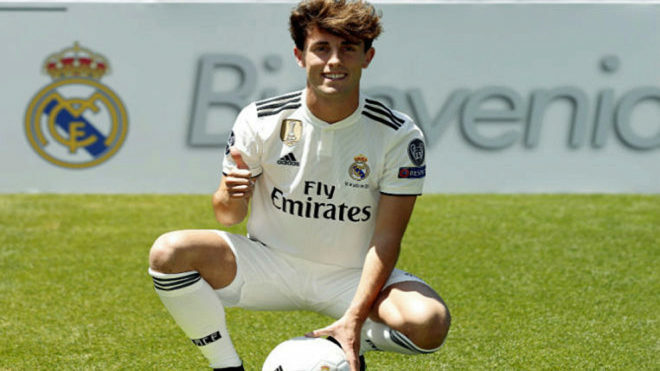 Odriozola, on the other hand, could also fancy the chance of playing regular football by moving to Premier League side Arsenal. Álvaro Odriozola is the player with the most assists in this Spanish Copa del Rey [ 4, alongside with Vinicius Júnior. Incredibly good 45 mins from them. It should have been 4-1 so far. 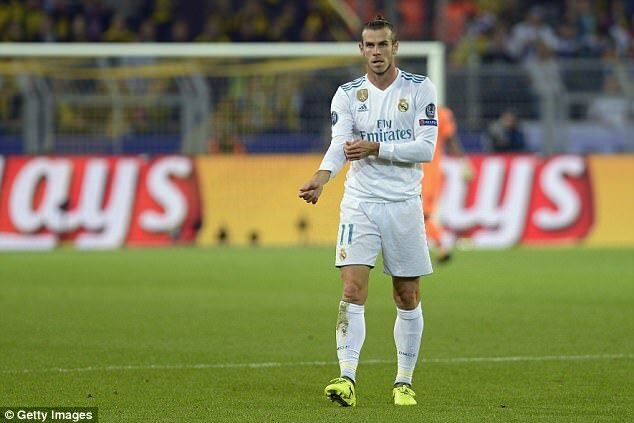 He has played 15 games this season in all competitions for Real Madrid who are currently occupying the third position on the Spanish La Liga standings with 39 points after 21 games. 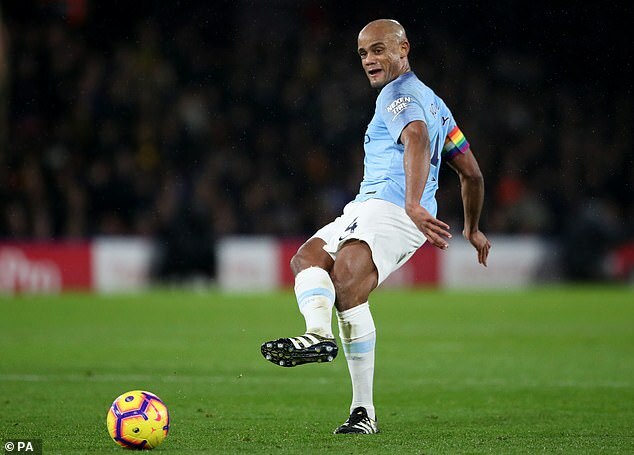 Malcolm emerged as a transfer target for Arsenal as the Premier League side are hoping to snap the Brazilian on deadline day. Arsenal has proposed for a loan deal for the misfit Barcelona striker during negotiations for midfielder Denis Suarez. 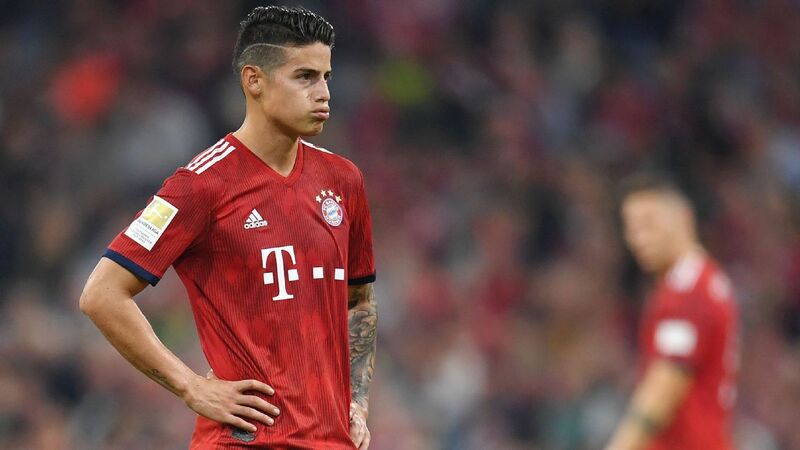 The 21-year-old has been unable to nail a starting shirt in Ernesto Valverde’s side this season but the club’s hierarchy still rate him highly and are not willing to sell him. 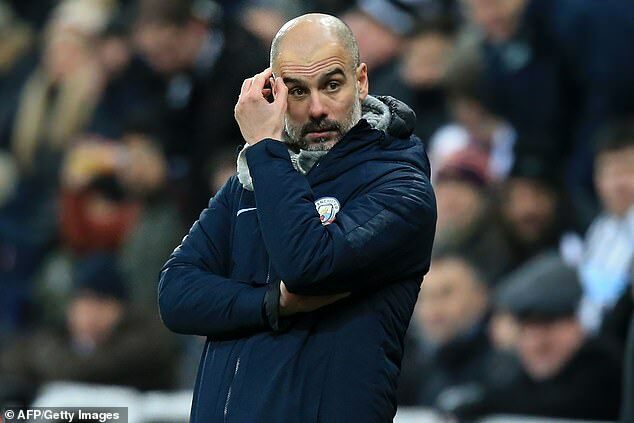 The Gunners missed the last edition of the UEFA Champions League last season, before departure of long term serving manager Arsene Wenger in 2018. they are set to come back to play that could be if they can win the race to get a place in the Premier League top four this season. following a number of injury crisis rocking the team if a move for defender breaks down within few days Unai Emery will be left with the youth team players and that could ruin their hopes of getting a positive result by the end of the season. Arsenal has currently seated at 5th position behind rivals Chelsea. they hope to continue their chase as the face Cardiff City on Sunday evening. said to be a former member of the APC who decamped to PDP the day Governor Wike visited Abua Odual for the PDP campaigns. Among several ethnic groups, picking out names can be influenced by positive or negative circumstances the family finds themselves in around the time a child is born. Often, such names are complete sentences. Ayodele (joy has come home) is a unisex name for a baby whose birth brought happiness to their Yoruba parents in Nigeria. Yetunde or Yewande (mother has come back) is a Yoruba name given to a girl whose grandmother or other female relative died before she was born. Adetokunbo (crown/wealth has come back home) is a unisex Yoruba name often given to a child born abroad. Ajuji (born on a rubbish heap) is a Hausa name given to a baby after those born before it failed to survive. It is believed that giving the child a “terrible” name will deceive evil spirits into thinking the child is not loved and as a result, allow it to live. Kgomotso and Pumza (comfort) are given to babies born shortly after a death or tragedy in Sesotho and Xhosa families in South Africa. Kiptanui and Cheptanui are often given to babies whose mothers may have suffered extreme difficulties during childbirth among the Kalenjin ethnic group in Kenya. Carvajal said he is happy for former Real Madrid team-mate Alvaro Morata ahead of his move to bitter LaLiga rivals Atletico Madrid. Morata is poised to swap Premier League side Chelsea for Atletico on an initial 18-month loan deal, with the option to make the move permanent. The 26-year-old forward left Madrid for Chelsea in 2017, however, the Spaniard has struggled at Stamford Bridge over the past year. Carvajal has no hard feelings as Morata – who emerged from Madrid’s youth system and won two Champions League titles as well as a pair of LaLiga trophies among others – closes in on Atletico. 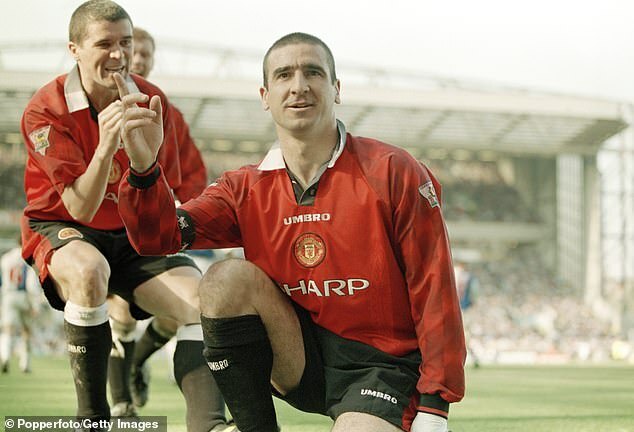 “They are decisions of each player. I do not judge him,” Madrid full-back Carvajal told reporters following Sunday’s 4-2 win against Espanyol. “If he is happy at Atletico, I am happy for him. He is my friend and I wish him the best. Morata has scored five goals in 16 Premier League appearances this season, while he has managed nine in all competitions. The Independent National Electoral Commission (INEC) has excluded Amina Zakari and other national commissioners from the collation of presidential poll results. The electoral body had initially designated Zakari to lead the collation center during the Presidential election on February 16th. This followed a public outcry with many claiming that Zakari is a relative of President Buhari, an allegation that has been denied by the Presidency and Zakari herself. The Brazil international suffered another metatarsal injury in his right foot during Paris Saint-Germain’s French Cup win over Strasbourg. 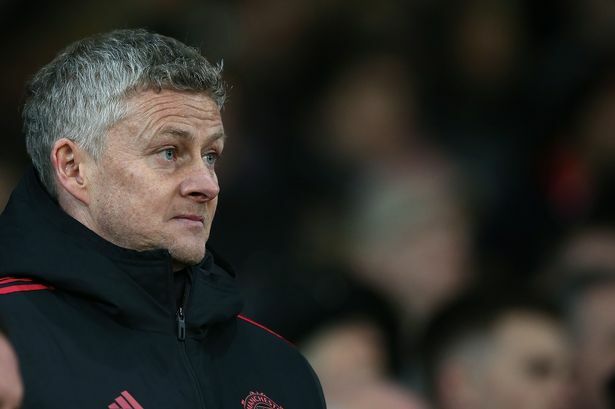 And according to the latest report by RMC Sport, the former Barcelona star will not be able to be in Paris Saint-Germain’s squad that will face Manchester United. 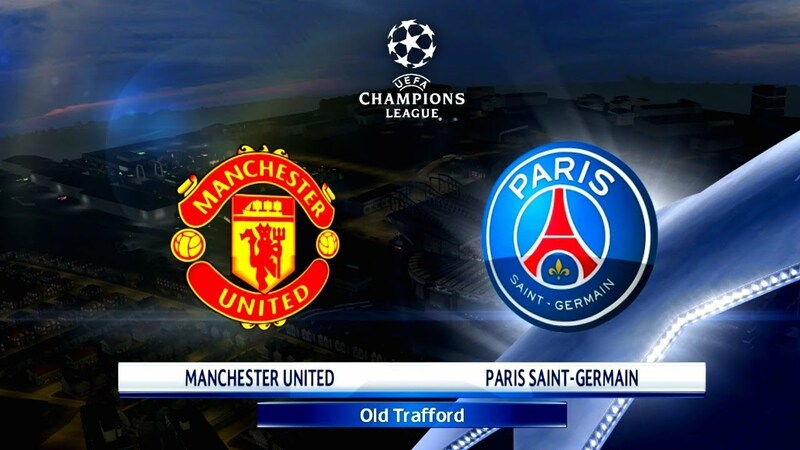 The first leg of the round of 16 Champions League clash between Manchester United and Paris-Saint-Germain will hold at Old Trafford on February 12. 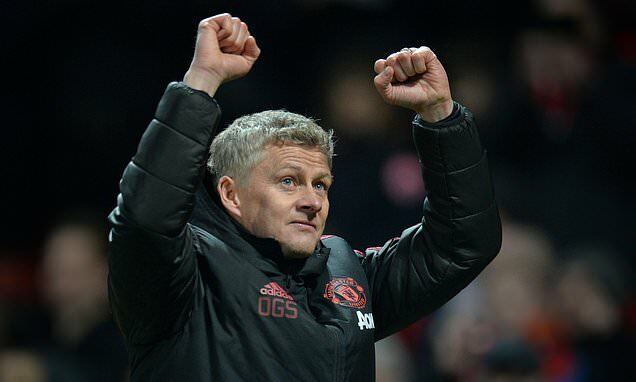 Neymar will now be hoping that his side gets a good result against Manchester United in the first leg before the second leg match in France on March 6. 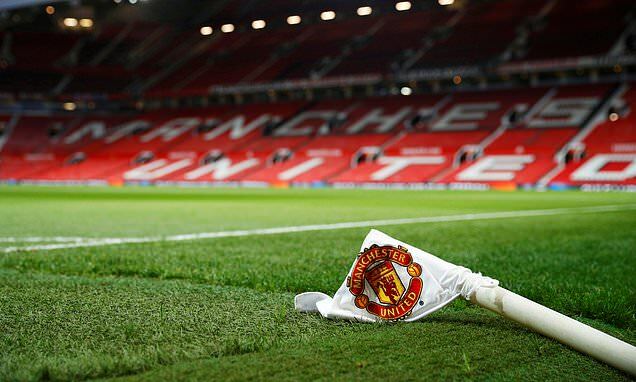 But the report added that 26-year-old forward could also miss the second leg tie in Paris against Manchester United. 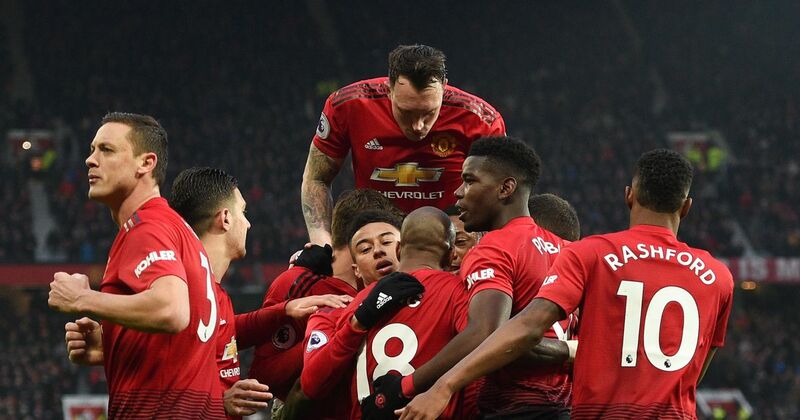 Manchester United missed the last edition of the Continental club competition last season but managed to win the Europa League which gave them space in this season edition, the Red Devils are in doubt of making the top four after suffering a terrible start under former manager Jose Mourinho. Neymar has been impressive this season for Paris-Saint-Germain scoring 20 goals so far in all competitions with 10 assists. 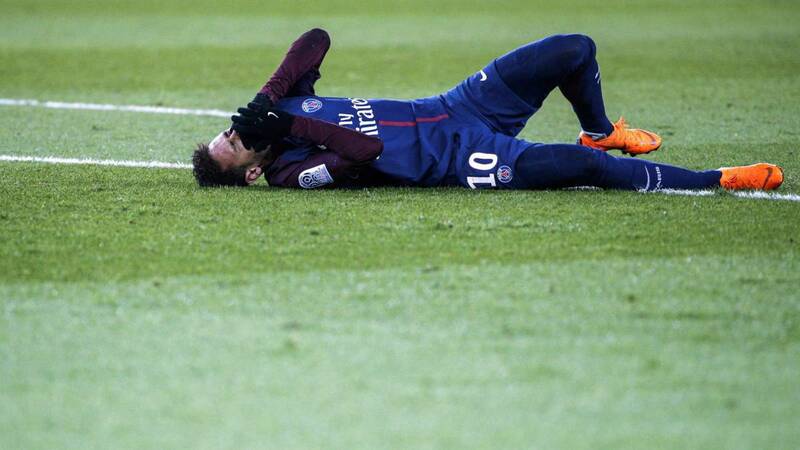 Last year, Neymar also had a similar injury which ended his season with Paris-Saint-Germain, although he fought back to play for his country at the 2018 World Cup in Russia. Paris Saint Germain boss Thomas Tuchel revealed that Brazil star Neymar might not be available for his side’s Champions League cracker against Manchester United next month. The former Barcelona winger suffered a metatarsal injury in his right foot during PSG’s 2-0 win over Strasbourg in the French Cup on Wednesday. 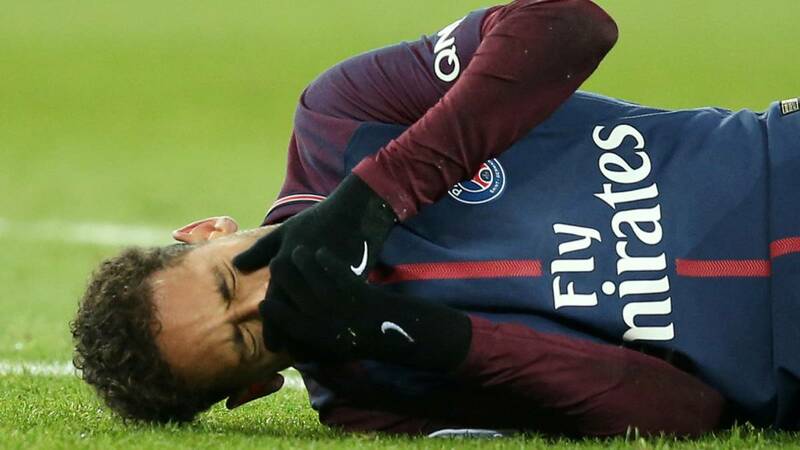 Neymar limped off the pitch in the 62nd minute of the game and his manager feels he might not be fit enough to battle the Red Devils on February. Neymar JNR has also suffered the same injury problem last season and has also taken the issue to God according to Legit.ng However, Neymar was brought from Barcelona for the Purpose of claiming the First UEFA Champions League trophy for the club. following his injury issues, how far can the French champions go in the UEFA Champions League this season? Minister of Finance, Mrs. Zainab Ahmed, has explained that the Executive Order 007 of 2019 on the Road Infrastructure Development and Refurbishment Investment Tax Credit Scheme will provide the much-needed private capital for infrastructure development in the country. “The scheme will incentive private sector investment in Nigerian roads across key economic corridors and industrial clusters, relieving the government of the burden of funding the initial outlays for these investments,” she said in a statement by her Special Adviser, Mr. Paul Abechi, yesterday. According to her, relevant provisions of the Companies Income Tax Act empower “Mr. President to authorise the exemption from corporate taxation, for certain companies or groups of companies, by way of the issuance of tax credits.” The new scheme, she said, “is based on the demand for road projects by companies and other corporate sponsors, who are willing to deploy their own working capital and financial resources to fund road projects located in the major economic corridors of the country where they have significant businesses and operations. According to her, once approved, the eligible road projects would be published in an official gazette, and modalities would be agreed upon with the investors to accelerate the implementation of the projects, the verification of eligible project costs, as well as the issuance of tax credit certificates to the Investors. The Executive Order also provides mechanisms for groups of investors to pool funds together to invest in road projects – directly; jointly through special purpose vehicles; or indeed, in collaboration with institutional investors such as Pension Fund Administrators, Collective Investment Schemes, Insurance Companies and Investment Banks. These measures have been adopted to enhance the ease of accessibility to the Scheme’s benefits by prospective Investors. The minister disclosed that in the pilot phase of the scheme, six private sector players in the construction industry would execute the Executive Order 7. They include Dangote Industries Limited, Lafarge Africa Plc, Unilever Nigeria Plc, Flour Mills of Nigeria Plc, Nigeria LNG Limited, and China Road and Bridge Corporation Nigeria Limited. “These investors will be investing in the following 19 eligible road projects, totalling 794.4km, which have been prioritised in 11 states across each of the six geo-political zones: Construction of Ashaka-Bajoga highway in Gombe State; reconstruction of Dikwa-Gambaru Ngala road in Borno State; reconstruction of Bama-Banki road in Borno State. “Others are rehabilitation of Sharada road in Kano State; rehabilitation of Nnamdi Azikiwe Expressway/ bypass, in Kaduna State; Reconstruction of Birnin Gwari expressway in Kaduna State; reconstruction of Birnin Gwari-Dansadau road in Kaduna State; reconstruction of Makurdi-Yandev-Gboko road in Benue State; reconstruction of Zone Roundabout-House of Assembly road in Benue State. Officers of the Kuje Medium Security Prison in the Federal Capital Territory have arrested two sisters for attempting to smuggle substances suspected to be cannabis and Tramadol into the prison premises. The prime suspect, identified as Miss Blessing Chinwuba, allegedly concealed the prohibited items in a carton of neatly packed noodles, which she wanted to take into the prison. According to the statement, the prime suspect, who feigned ignorance of the contents of her illegal cargo during interrogation, claimed that the consignment was given to her by her younger sister, Victoria. Victoria, while corroborating her sibling’s claims, also said she was unaware of the contents of the consignment, which she said she merely collected from a courier service provider. The two suspects have been handed over to the National Drug Law Enforcement Agency for further investigation and possible prosecution. 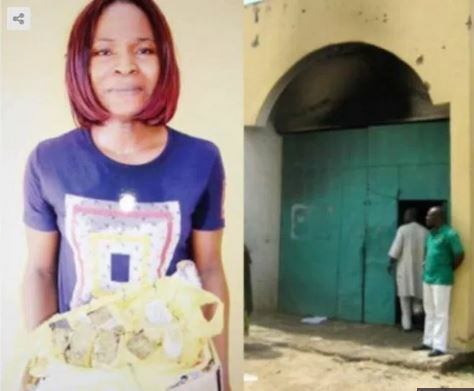 Recall that according to a report by Punch Metro, a woman, Miss Ijeoma Franca, has been caught trying to smuggle substance suspected to be Indian hemp into the Medium Security Prisons, Kuje, Abuja. The substance concealed in a carton of biscuit was discovered during a routine search on visitors by the prison officers. 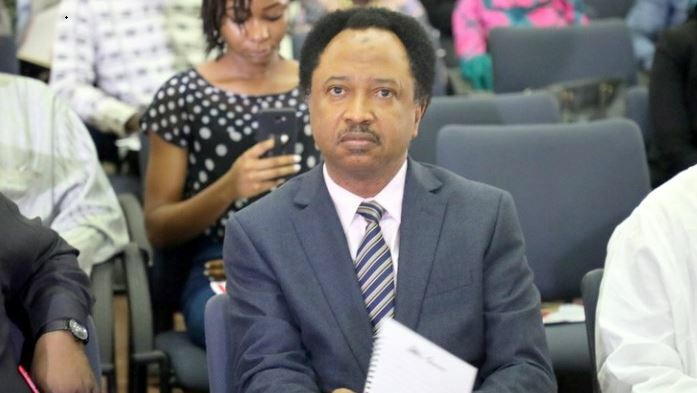 The Federal Capital Territory Prison Command spokesman, Humphrey Chukwuedo, in a statement on Wednesday, stated that the suspect claimed during interrogation that one Daniel engaged her to deliver the package to his brother, Miracle Amechi, an inmate in Kuje prisons. He added that Franca had been handed over to the National Drug Law Enforcement Agency for further action. Meanwhile, the Controller of Prisons, FCT Command, Sylvester Nwakuche, has warned visitors to the prison to shun smuggling of hard drugs to prison inmates and encouraging its use in whatever manner. He noted that the use of hard drugs not only compromised reformation and rehabilitation of prisoners but also had a debilitating effect on their health. Mixed reactions have trailed the decision of the National Council of State on the new minimum wage for workers in Nigeria. Recall that the National Council of State has decided that the national minimum wage for states and the private sector should be N27,000, and agreed also that N30,000 should be minimum wage for federal workers. This decision was reached in the National Council of state meeting, which held at the State house on Tuesday, and was presided over by President Muhammadu Buhari.